Proof is an occasional series that showcases (and celebrates!) people who employed new job search strategies and landed THE job or promotion they wanted. Today, we feature Vince W. of Portland, Oregon. He landed in Portland with his bags and a mission. Continue growing his career as an insanely talented and energetic program manager, preferably within the aerospace industry. That was Iowa transplant Vince W.'s plan. And he'd cooked up a fairly decent strategy with his former employer, a global corporation with offices around the world, to make it happen. Unfortunately, their plans changed. Vince got to Portland, achieving goal #1, but he soon realized that his employer would not be able to place him into a program management position, as initially discussed. So he would either need to work in a completely different role, or leave and go be an amazing program manager elsewhere. He decided on the latter. It was around this time that we first met Vince; he ordered a Ridiculously Awesome Resume package. From the moment Vince rolled into our first Starbucks meeting, it was clear that this guy was a rising star. Articulate, smart and well-dressed, Vince had a near school-boy enthusiasm about him as he talked about his goals. In spite of his ability to deliver a strong first impression, Vince was starting to become discouraged because he was getting very few calls from recruiters and HR people. And those he was getting? Seemed to be quite unrelated to the types of roles he truly desired. "I finally realized that these calls were probably my sign that my resume wasn't representing me well, and that I was likely being overlooked for the jobs I really wanted," he said. We first tore Vince's resume apart (he was correct; it didn't match up to his dynamite 'in-person' self) and rebuilt it, so that it was smack-in-the-forehead obvious to his target audience that this guy knew program management like nobody's business. We also made it clear that he had highly advantageous skills that would appeal directly to players within the aerospace industry. Next, we worked on strategy. Since Portland isn't exactly a mecca of aerospace industry jobs, we convinced Vince to stop relying on posted job advertisements (there were few) and, instead, make a short list of companies in Portland for whom he wanted to work. Once he had this, he developed and executed (like a champ) a game plan that involved proactively introducing himself to players within these organizations. "I made a list of companies that served my industry as well as a few that were in adjacent industries and then I targeted them by following their LinkedIn pages, Twitter pages and Facebook pages," he said. "Then I took it further and introduced myself to as many people close to those companies as I could. And last? I made myself memorable. This has everything to do with being memorable." Last month, Vince accepted a program management position with a wholly owned subsidiary of a global helicopter manufacturing corporation. His new job is the culmination of everything he loves to do: planning, managing schedules, serving as a customer liaison and making sure huge projects are profitable. He's elated, and hopefully pretty stinking proud. Vince said that, while his systematic (and impressively organized) approach was vital, the new resume is what clinched it for him. "I'm 100% positive that my new resume had a huge effect on my landing this new job," he said. "The company I work for has over 220,000 worldwide employees, so the competition is pretty fierce. In order to stand out, I absolutely had to showcase my skills in a clean and professional way and make it instantly clear to recruiters that I was the standout." "Don't delay in getting help like I did. Find a professional that can coach you in a genuine, targeted and motivating way," he said. "You might think you're getting a 'deal' when you find a site with really inexpensive prices for job search support, but it's not a deal if you only get a generic resume and generic answers." Huge congrats to Vince W. Mark our words, this guy is going to light the world on fire. In fact, he already is. Got a Proof story of your own? 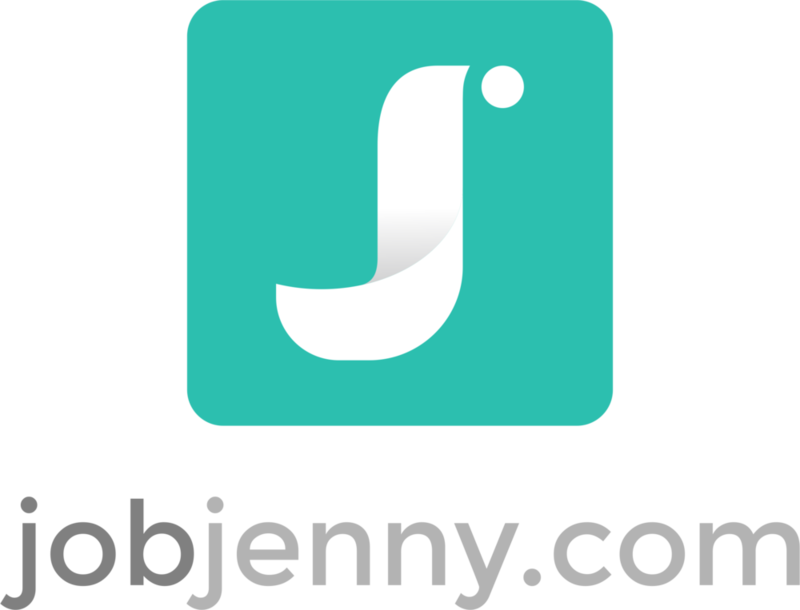 Please email me at Jenny@JobJenny.com if you’d like to be featured in the series.